While Americans have recently been awakened to the threat of Vladimir Putin’s efforts to undermine democratic institutions in the United States, such tactics are all too familiar to our European partners and allies who have been on the frontlines of Russia’s assault on democracy. There is much we can learn from the history of Russia’s activities aimed at undermining democracies in Europe, as well as from how our European partners and allies respond. The U.S. government, including the Executive Branch and Congress, must take steps to work with our European partners and allies to defend against and deter such activities in the future. On January 10, the Alliance for Securing Democracy at The German Marshall Fund of the United States hosted a two-part discussion. The first conversation featured U.S. Senator Ben Cardin, ranking member of the Senate Foreign Relations Committee, as he presented findings from his new report, "Putin’s Asymmetric Assault on Democracy in Russia and Europe: Implications for U.S. National Security." 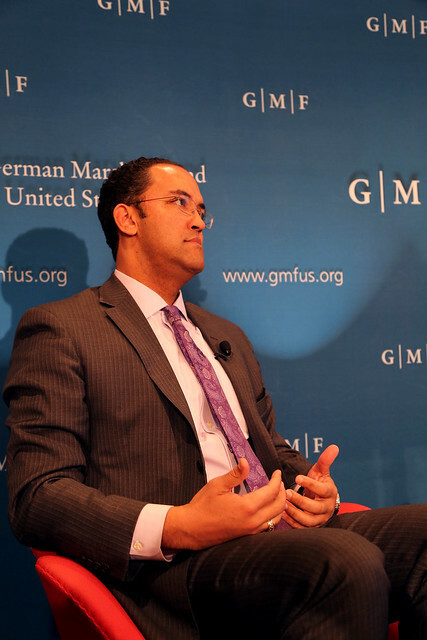 This was directly followed by a conversation with U.S. Representative Will Hurd on Russia's threat to U.S. national security. Former U.S. Secretary of Homeland Security Michael Chertoff moderated both sessions. If you have any questions, please contact Brittany Beaulieu bbeaulieu@securingdemocracy.org.